I’ve really enjoyed witnessing how Christmas-ified New York gets. 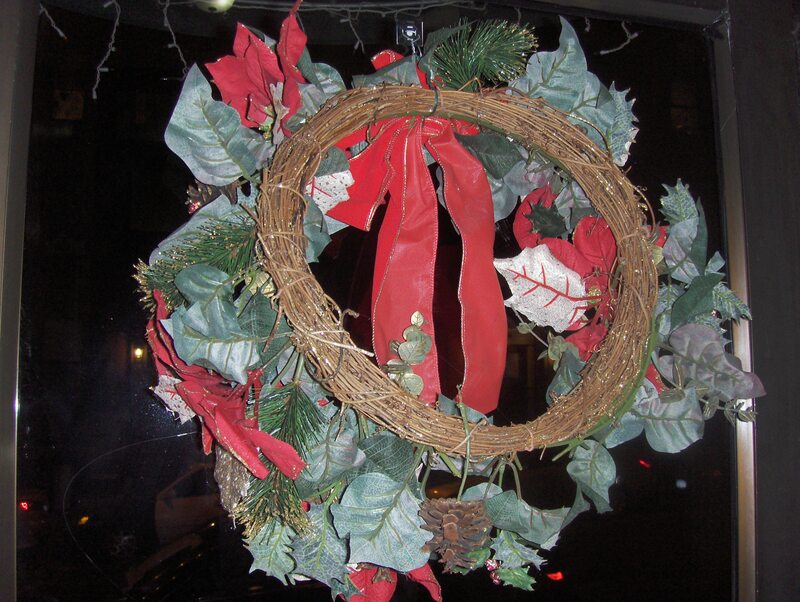 In our own corner of the city, our super hung wreaths on the doors and lights on the awning above the doors. It isn’t the glittering lights of 5th Avenue, but it was a cute surprise to come home to. This is a backwards picture of the wreath, but it was too cold to try and take it from the outside.